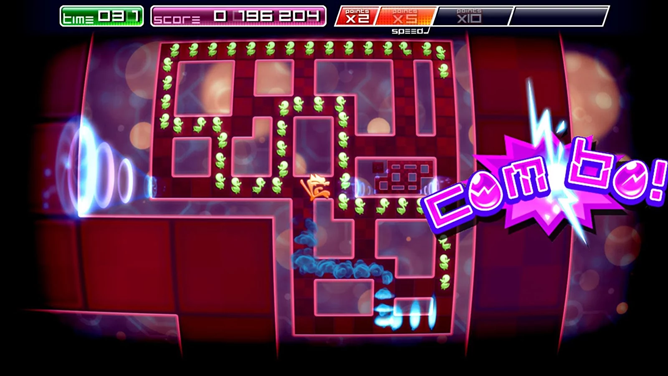 The gameplay of Pix is somewhere between Snake and Pac-Man. Guide the titular cartoon cat through maze-like levels, eating rescuing ducklings who then follow behind you in an inter-species conga line. You'll have to guide them to the safe zone in each stage without crossing your own feathery trail. 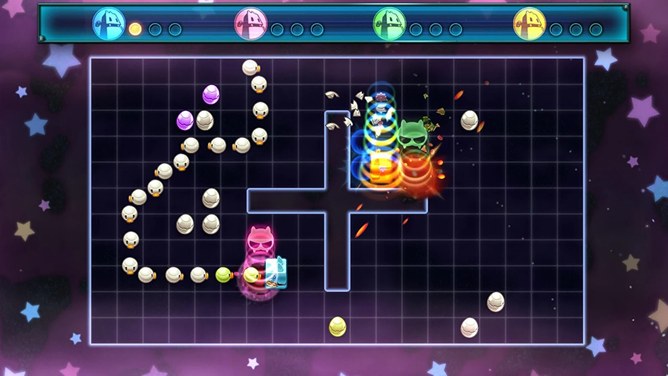 The primary mode is Arcade, which mixes the basic gameplay with psychedelic disco-inspired visuals and sound across 70 levels. 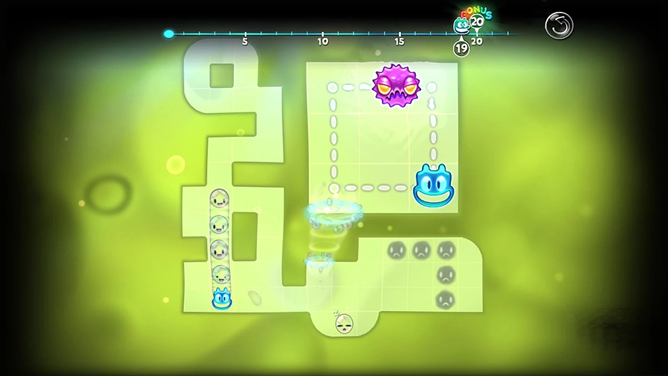 In the Bomberman-inspired Arena mode you can duke it out among up to four players (assuming you have the controllers and friends needed, of course). 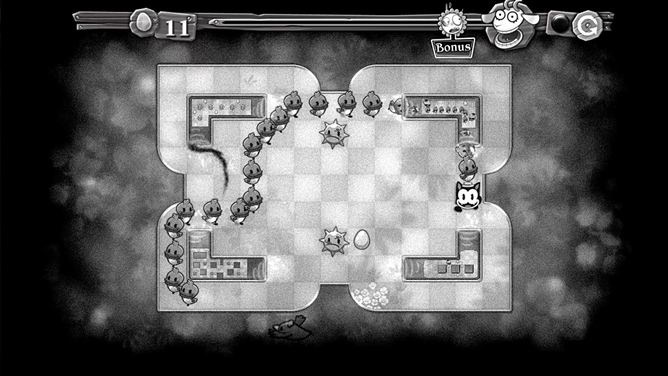 Nostalgia mode transposes all of the graphics into a sort of Steamboat Willie style, and the Laboratory remixes the gameplay a bit for more of a puzzle focus. If you're put off by the price, know that it's the same one that the game currently sells at on Steam and other downloadable game services, and there are no in-app purchases.